Denny Jump (Bellevue, WA, United States) on 17 September 2017 in Landscape & Rural. 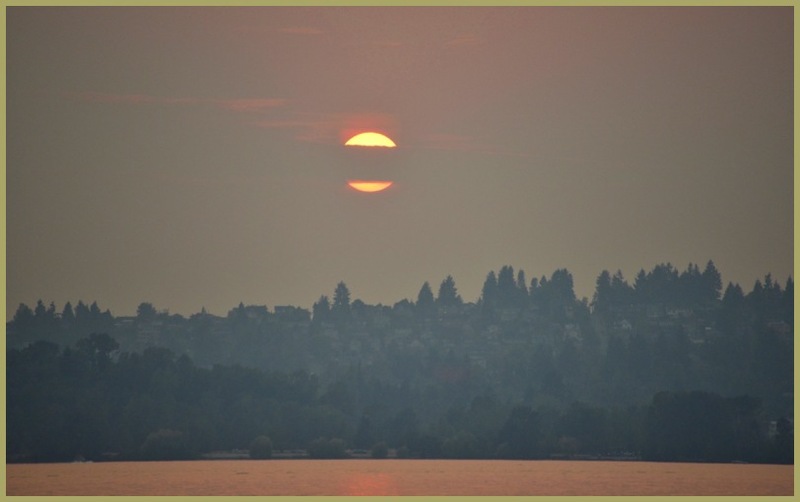 The Saturday night setting sun seemed to be split in half by clouds over Seattle and Lake Washington. The sky was amazing....a storm front is moving in so I decided I better get out there and shoot some images before the rain starts to pour...We have not had a significant rainfall since June - a long time for this part of the U.S.! I hope you enjoy this image. Somehow, that band of cloud adds to the mood . . Fortunate timing, and you captured interesting color as the storm moves in. I hope it brought the needed rain. Beautiful light in the smokey sky. It's been thick at times hasn't it? The sun look fantastic split by the thick band of clouds. Great mood in this scene Dennis. Lovely way of catching the wink of sun !